Swallowing disorders can occur for any number of reasons, including conditions affecting the esophagus such as cancer, strictures, rings or gastroesophageal reflux disease (GERD); or, from other problems such as stroke, diabetes and scleroderma. Motility is the movement of food and liquid by the esophagus muscles down the esophagus and into the stomach. 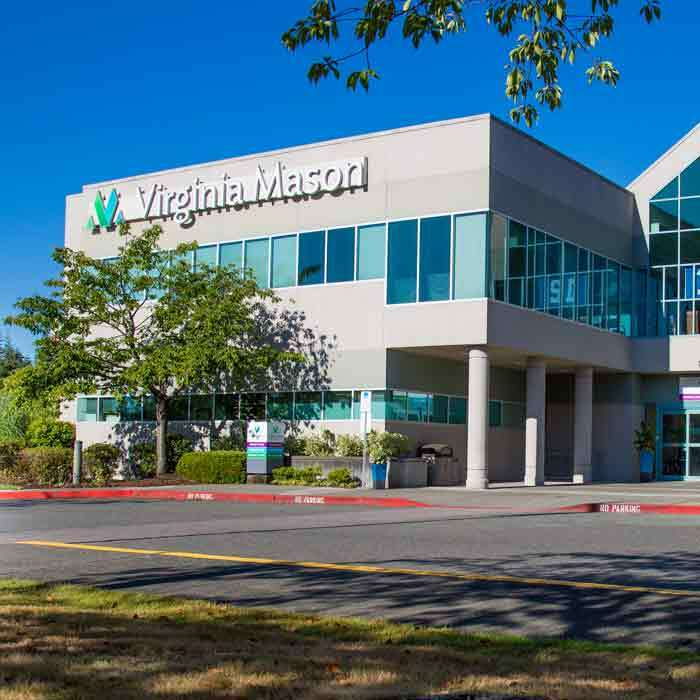 Virginia Mason's gastroenterologists utilize state-of-the-art diagnostic tools and therapies in treating patients with swallowing and motility disorders, often working in tandem with other Virginia Mason specialists. This specialized team includes medical oncologists, surgeons, interventional radiologists, nurses, dietitians, speech pathologists, and others who have been recognized for their skills in treating patients with swallowing difficulties. 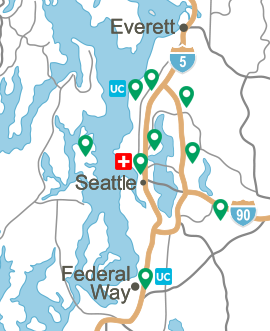 To schedule an appointment, call (206) 223-2319. Dysphagia means difficulty swallowing and includes any disturbance in the transfer of food or liquid from the mouth to the stomach. Abnormalities may involve the oral, pharyngeal, or esophageal stage of the swallowing sequence. Diseases and disorders that affect a person's ability to swallow are numerous, including stroke, neurodegenerative diseases (ALS, multiple sclerosis, Parkinson’s disease), certain advanced cancers, traumatic injury, connective tissue disease (scleroderma), specific disorders of the esophagus (GERD, strictures, rings). Patients with dysphagia can suffer weight loss, dehydration, malnutrition and aspiration pneumonia if food or liquid enters the lungs. Achalasia is a rare condition in which the muscles of the lower esophagus fails to contract and the lower esophageal sphincter (LES) muscle (valve) between the stomach and esophagus fails to relax. Achalasia is thought to be caused by degeneration in nerve cells within the esophageal lining. The condition develops over time, causing increasing difficulty swallowing food and liquids. Patients with achalasia also may experience pain in the esophagus and regurgitation of food and liquids. A stricture is scar tissue that causes narrowing of the esophagus, and rings are bands of muscle or esophageal tissue that form in the lower esophagus. Both are common abnormalities and both can cause difficulty swallowing. Strictures and rings are associated with reflux disease (GERD). Narrowing of the esophagus develops over time as the scar tissue grows. Multiple esophageal rings are a separate disorder called eosinophilic esophagitis and may have an allergic component. Each year 80 million people suffer from daily heartburn, which can lead to Barrett's esophagus and then cancer. Esophageal cancer is the fastest growing cancer in the United States and, with it, associated swallowing difficulties. Individuals with head and neck tumors and brain tumors also may experience difficulty swallowing. Long-standing reflux disease (GERD) can damage the esophageal lining, causing cellular changes known as Barrett's esophagus, a precancerous condition. GERD also may cause the development of esophageal strictures and rings, all of which can lead to problems with swallowing. Eosinophilic esophagitis may be associated with gastroesophageal reflux disease (GERD), but also is thought to be caused by an allergic response to food or another allergen. Eosinophilic refers to the type of cell — eosinophil — commonly present in allergic responses. Esophagitis is inflammation of the esophagus. This condition is associated with multiple rings in the esophagus which cause swallowing difficulties. It is common in young men, but can affect anyone. 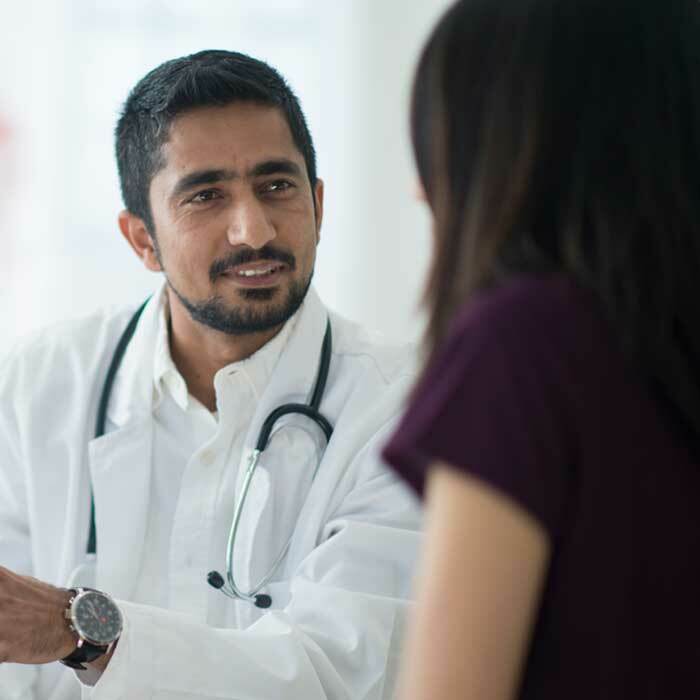 Your gastroenterologist will conduct a medical history and physical exam, and will listen to a description of your symptoms to help determine the cause for your swallowing or motility difficulty. He or she also will have you undergo one or more procedures to help diagnose your condition, to determine if there is any damage to the esophageal lining (such as from reflux disease), to rule out cancer of the esophagus or to rule out oral/pharyngeal swallowing disturbances that may be contributing to the problem. Esophagogastroduodenoscopy (EGD) — EGD is a minimally invasive, endoscopic procedure that allows your physician to view the esophagus, stomach and part of the small intestine. An endoscope is a thin flexible tube that contains miniaturized instruments, including a camera. You will be given a mild anesthetic for your throat and a sedative, and then your gastroenterologist will gently guide the endoscope down the esophagus and into the stomach. Your gastroenterologist also is able to take tissue samples (biopsy). This endoscopic procedure can help your gastroenterologist determine if you have inflammation in your esophagus (esophagitis) or stomach (gastritis), cancer, stricture, rings or Barrett's esophagus (a precancerous condition from cellular changes to the esophageal lining). Esophageal Manometry — This procedure measures the strength of your esophageal contractions — which help move food toward the stomach — and whether the lower esophageal sphincter (muscle) is opening and closing properly. After first receiving a mild anesthetic to numb the throat, a thin tube is passed into your nose and down your throat and into the stomach. The tube is connected to a monitor that records these esophageal activities. The test takes about one hour. Barium X-ray (Upper GI) — During this procedure you will drink a chalky substance that coats your throat, stomach and part of the small intestine. The liquid coating allows your gastroenterologist to see, on x-ray, abnormal areas of the esophagus, including strictures (narrowing), growths or a hiatal hernia. This procedure is also called a "barium swallow" or Upper GI. Modified Barium Swallow Study (also referred to as a Videofluoroscopic Swallow Study) — You may be referred to a speech pathologist to evaluate changes during the oral or pharyngeal phase of swallowing (that is, as material passes through your throat and into the upper portion of the esophagus). During this procedure, you will drink liquids of various thicknesses and eat various textures of food, all of which will be mixed with a coating that allows visualization of the material while it travels from your mouth through your throat and into your esophagus. Once a diagnosis has been made, appropriate therapy can be given to help alleviate swallowing or motility symptoms. Medical Therapy — Depending on the cause of the swallowing difficulty, drug therapy is given first to help alleviate symptoms, for example, of GERD (antireflux medication) or eosinophilic esophagitis (corticosteroid medication). In patients with esophageal strictures, proton pump inhibitors may be prescribed to help keep treated strictures from reforming. Patients with esophageal motility disorders (achalasia) may be given drugs that relax the esophageal muscles. Additionally, a Botox (botulinum toxin) injection into the lower esophageal sphincter (LES) relaxes this valve and allows food to pass into the stomach. This procedure is performed endoscopically. 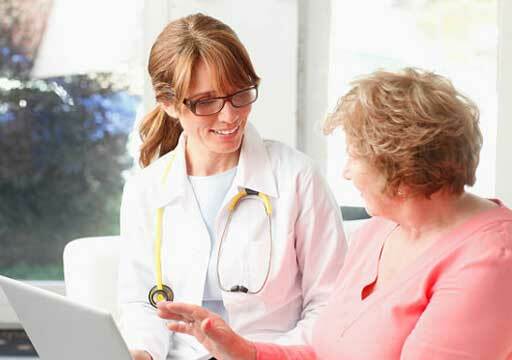 Swallowing Therapy — Speech pathologists are the primary providers for direct swallowing therapy services. The specific treatment depends on the cause, symptoms and type of swallowing problem. The therapist may provide specific swallowing training/exercises to improve muscle movements, train positions or strategies to help the individual swallow more effectively, and/or recommend modifications to diet textures to ensure safer and more efficient swallowing. Virginia Mason speech pathologists have specialized training to assist people with a wide range of swallowing disturbances. You can find out more about dysphagia and its management at American Speech-Language Hearing Association, or contact Virginia Mason’s Speech Pathology Department at (206) 223-6746. Endoscopy — Common endoscopic treatments to help alleviate swallowing difficulties are dilation of the esophagus, stent placement to help keep the esophagus open and Peroral Endoscopic Myotomy (POEM). All are performed as minimally invasive endoscopic procedures with miniaturized instruments inserted through the endoscope. With dilation therapy, a dilating tube is passed into the esophagus to widen a ring or stricture. Dilation may also be performed with a balloon. And it may be performed several times. Patients with esophageal strictures, rings and achalasia — in which the lower esophageal sphincter (LES) muscle is stretched — often benefit from this procedure. An esophageal stent (a hollow tube) is commonly placed by gastroenterologists in patients with late-stage esophageal cancer and as a palliative (comfort care) measure. This procedure also is performed endoscopically, with a small collapsible stent inserted through the endoscope and then opened within the esophagus. 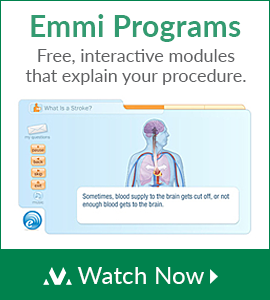 Patients often experience immediate relief of symptoms with stent placement. In Peroral Endoscopic Myotomy (POEM), instruments are inserted through the endoscope to cut and clip the muscle at the lower end of the esophagus. Surgery — Surgery is not commonly performed for swallowing disorders unless esophageal cancer is present. An esophageal mucosectomy (removal of amucosal layer) or an ablation (eradicating tissue) procedure may be performed endoscopically in patients with Barrett's esophagus and worrisome changes on biopsy (dysplasia). Surgery or Peroral Endoscopic Myotomy (POEM) to release the lower esophageal sphincter (LES) muscle may be recommended, and are often quite effective, in patients with achalasia.